whether in the work of excavation it is a good thing to have co-operation between men and women. It should be noted that he was drawing on his experience of 'a mixed dig' which he observed was 'an experiment that I would be reluctant to try again'. 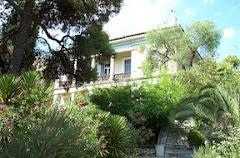 Almost certainly the experience was during the Phylakopi excavations in 1906 where one of his colleagues was Dorothy Lamb (no relation of Winifred) who had studied at Newnham College, Cambridge. Lamb (as Dorothy Brooke) later helped to prepare the catalogue of terracottas for the Akropolis Museum ("Terracottas." In Catalogue of the Acropolis Museum II, edited by S. Casson. Cambridge: Cambridge University Press, 1921). Gill, D. W. J. 2002. 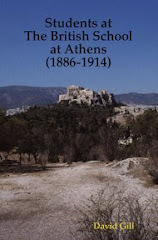 "The passion of hazard": women at the British School at Athens before the First World War. 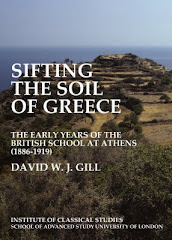 Annual of the British School at Athens 97: 491-510.